The Fantasy Football Fairy is back with his top picks for Gameweek 3. The standout result from Gameweek 2 saw Manchester City lay down a stern reminder of their attacking prowess to any potential Premier League suitors for the season ahead. Sergio Aguero was at his devastating best and finished the week as the games top scorer with 20 Fantasy Premier League (FPL) points after scoring his 13th hat-trick in Manchester City colours. Liverpool, Arsenal, Manchester City and Chelsea all have favourable fixtures for Gameweek 3. The standout fixture sees Mauricio Pochettino’s Spurs take on Jose Mourinho’s Manchester United in the Monday night fixture at Old Trafford. Outlined below are my top picks to help you gain some points on your mini league rivals and continue your strong start to the season. Almost half a million FPL managers have already bought premium forward option Sergio Aguero ahead of the Gameweek 3 deadline after his monster points haul against Huddersfield last weekend. The £11.1m priced Argentine travels to face Wolves in Saturday’s early kick-off in what should be another straightforward win for Pep Guardiola’s side. Aguero has averaged a chance every 13 minutes so far this season, which is a ridiculous statistic for the red-hot sharpshooter. Wolves have conceded four goals in their opening two fixtures in the Premier League. Summer signing Aleksandar Mitrovic sits second for shots taken with 11 this season in the Premier League after the opening two rounds of fixtures. The only player to have fired off more is Manchester City’s Sergio Aguero and we saw the damage he done to Huddersfield last weekend. 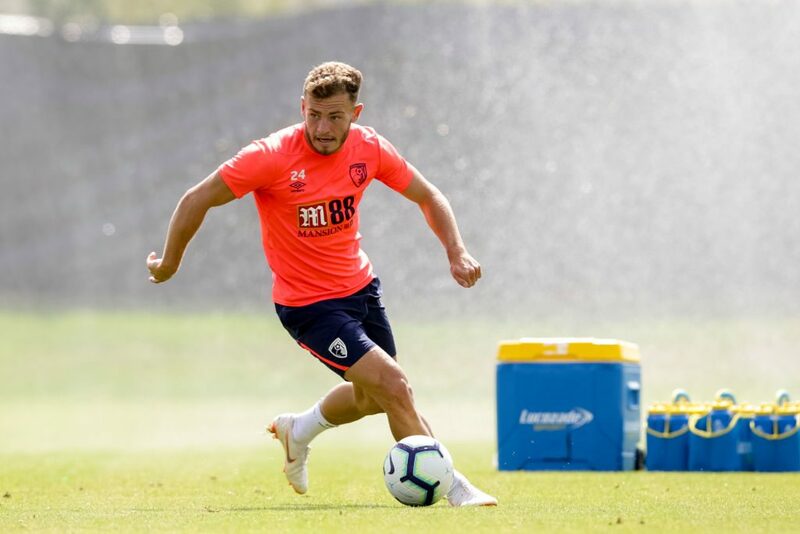 The £6.5m priced Serbian forward faces Burnley on Sunday afternoon who travel to face Olympiacos tonight (Thursday) for the first leg of their Europa League qualifier. This bodes well for Fulham who will no doubt be looking to take advantage of some tired Burnley legs. Excluding Sergio Aguero, Watford’s Troy Deeney is the only forward in the FPL game to register a double-figure points haul after the opening two rounds of fixtures. The budget-priced forward looked sharp last weekend as Watford impressively came from behind to comfortably beat Leicester at the King Power Stadium. The £6.0m priced forward could be a shrewd pick for those looking to free up some cash this weekend as Watford welcome Crystal Palace to Vicarage Road off the back of a goal, assist and three bonus points last time out. I am backing Liverpool’s Mohamed Salah to take the spotlight from his in-form teammate Saido Mane this weekend as the Reds welcome Brighton to Anfield for Saturday’s late kick-off. The two will likely battle it out for the captaincy for many FPL managers but I will be pinning my flag firmly on the Egyptian magician for my own FPL team. 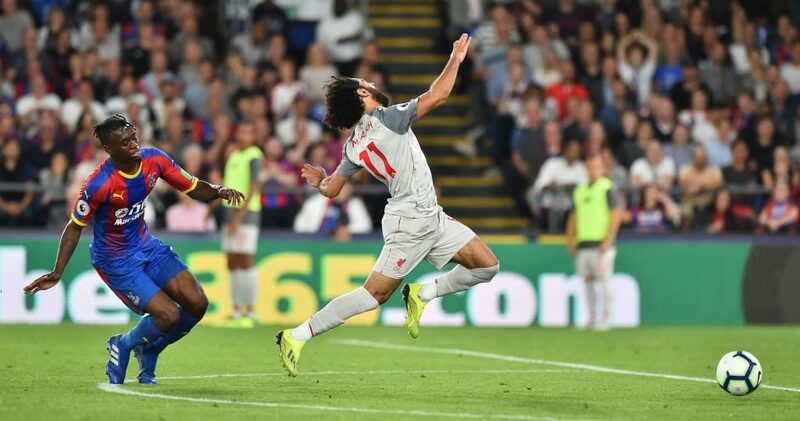 Statistics are on Salah’s side as although he only registered two assists against Crystal Palace on Monday night, his underlying numbers remain extremely impressive. Liverpool scored nine goals against Brighton last season and the result this weekend already seems like a foregone conclusion. Henrikh Mkhitaryan looks to be one of the safer routes into the Arsenal team ahead of a plum home fixture against West Ham on Saturday afternoon. Aaron Ramsey was rested for last weekend’s defeat to Chelsea and Mesut Özil looked a shadow of his best self in the Arsenal midfield. £7.0m priced Mkhitaryan finished the game with a goal and assist as part of a 12 FPL points score in his side’s defeat. This sort of form has convinced over 275,000 managers to transfer him into their squads and it seems the Armenian will also have a share of Arsenal’s corners this season which increases his assist potential. Howe’s comments bode well for my budget pick of choice in Gameweek 3 as Fraser faces an Everton team he scored twice against in the same fixture last season. Everton have looked a little shaky so far this season in defence and I expect Bournemouth to score at least once this weekend. Premium defensive pick Marcos Alonso is my Chelsea player of choice ahead of an away fixture with Newcastle United in Gameweek 3. As new manager Maurizio Sarri very gently eases star player Eden Hazard back into his side, Alonso will fly the flag for the in-form Blues. Originally at £6.5m this season in FPL it looked as though Marcos Alonso’s days in our FPL teams would be numbered as Chelsea switched from a back three to a back four. However, two assists, one goal and five bonus points after just two gameweeks suggests Sarri’s tactical tweaks only further the Spaniard’s appeal. Alonso has registered more shots this season than any other defender with six to his name after the opening two rounds of fixtures. Liverpool’s new-look defence is receiving rave reviews from various media outlets after the opening two gameweeks of Premier League action. Summer signing Alisson Becker is yet to pick the ball from his own net. 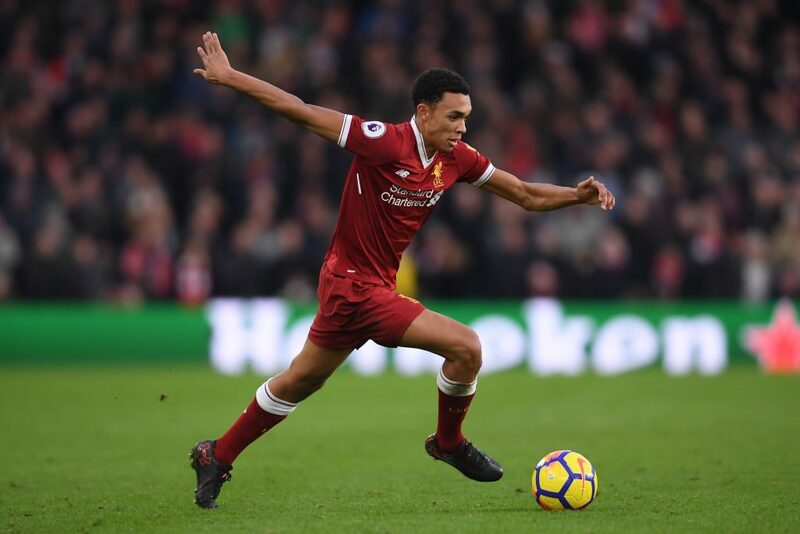 Mid-priced Trent Alexander-Arnold offers FPL managers a cheaper route into their clean sheet potential as he comes in at £5.0m, a full £1.0m cheaper than teammates Andrew Robertson and Virgil van Dijk. The young English fullback looks set to take direct free-kicks for Liverpool and he has been getting forward in the opening two fixtures for Jurgen Klopp’s side. Alexander-Arnold has supplied 19 crosses in only 180 minutes of Premier League action already this season. José Holebas is my budget priced defender of choice this gameweek as Watford welcome Crystal Palace to Vicarage Road for Sunday’s early kick-off. The 34-year-old provided two assists and a clean sheet in Watford’s season opener as part of a 13 points score in Gameweek 1. With free-kicks and a share of corners in his locker, £4.5m priced Holebas offers the potential of points at both ends of the pitch this gameweek for Javi Gracia’s side. Manchester City’s goalkeeper has it all. In Gameweek 1, he kept a clean sheet and racked up eight FPL points. In Gameweek 2, he conceded one goal at home to Huddersfield but instead made up for this by providing Sergio Aguero with an assist for one of his three goals in the fixture. Wolves are Manchester City’s opponents this weekend in a fixture, which should prove to be a straightforward victory for the Premier League champions. 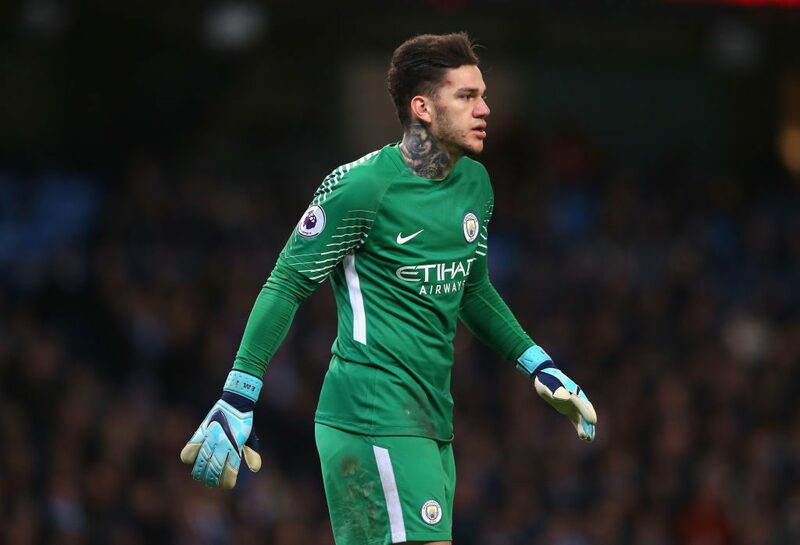 It seems Ederson has the edge over David De Gea in the early race for the golden glove award as the Red Devils struggle for form and consistency. Arsenal’s new goalkeeper Bernd Leno has had to settle for a place on the substitute’s bench for the opening gameweeks of the season as old favourite Petr Cech retained his place between the posts for new manager Unai Emery. After two very tough opening fixtures, Arsenal now embark on a favourable run of fixtures where they will be hopeful of getting some points on the board and shoot up the league table. They welcome a very poor looking West Ham side to the Emirates on Saturday afternoon in what should, on paper at least be a comfortable win. Early signs suggest that Fulham’s budget-priced goalkeeper Fabri will be busy this season. The Spanish signing he has racked up a league-high of 16 saves after just two gameweeks for the Premier League newcomers. Fulham welcome Burnley to Craven Cottage on Sunday afternoon in a fixture that manager Slaviša Jokanović will no doubt have earmarked as a crucial home game for his newly promoted side. Do you think you have what it takes to beat over 450 FPL managers? If so, join the Fantasy Football Fairy’s FPL league – code to enter:336005-70980. Pundit Arena have kindly sponsored a Premier League jersey of choice for this season’s winner. Best of luck!